3 Bedroom End of Terrace House For Sale in Catterick Garrison for Offers in the region of £150,000. 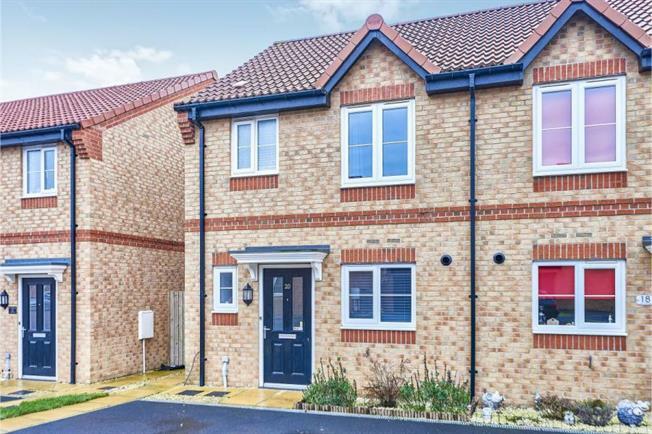 This well presented three bedroomed home located in the ever-popular Woodside Chase estate would be perfect for a small family, first time buyers or an investor. This home is definitely not one to miss. Briefly comprising; Entrance hallway, downstairs WC. Well laid out modern kitchen with white high gloss base and wall units with integrated appliances. Large living room/dining room with French doors leading onto the patio. To the first floor there are two double bedrooms, one with built in wardrobes and a further single bedroom. There is also a large family bathroom. Externally is a garden with a patio area making it perfect for those summer evenings and one off street parking space.